We had to kick the year off a little early. 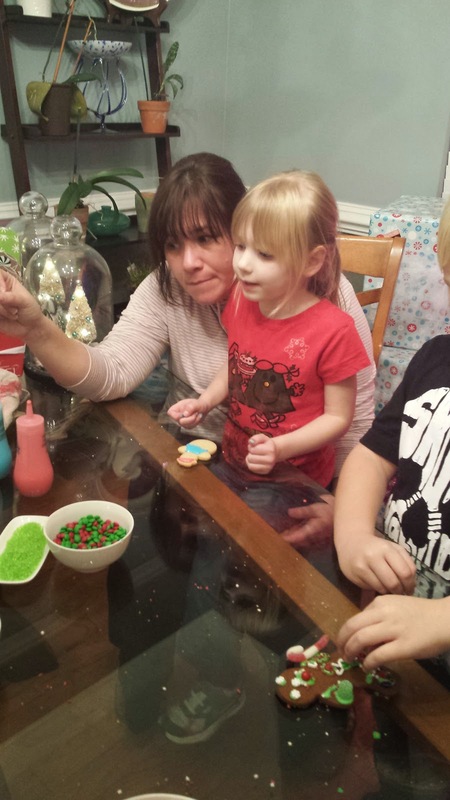 I want to go ahead and not have to worry about doing an organized activity when we travel so we started our 12 Days, on Wednesday, December 10th this year by going over to the Cameron's house to decorate cookies. 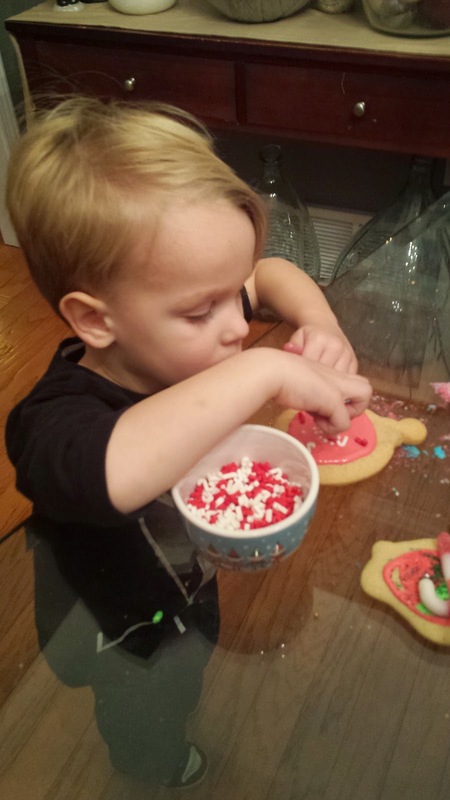 Cody spent his time dumping as many sprinkles on the cookie as possible and eating the candies that were meant to decorate with. After he had his fill he decided to just go play. Krissy helped Sarah churn out an army of cookies. As I was moving them into a tupperware container when we got home Sarah saw me dump excess sprinkles out of the cute boxes we left there with and accused me of dumping her cookies out. 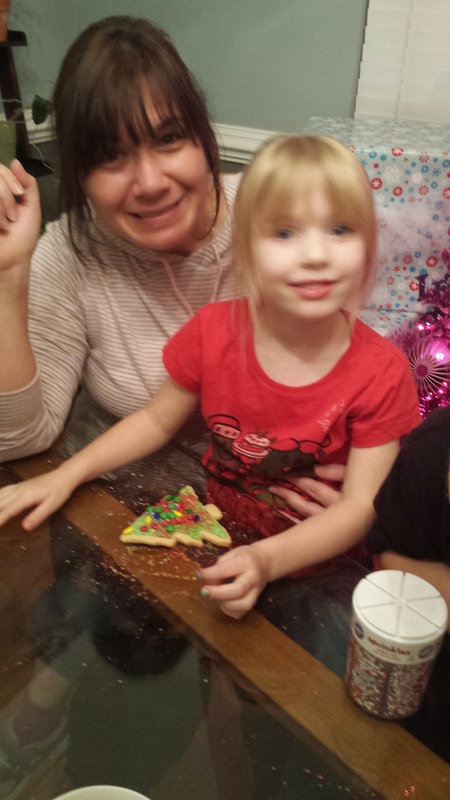 THEN last night she got up and saw me eating a cookie and went and told Daddy that "mommy was eating all her cookies". That girl. Sarah lovingly and thoughtfully chose and decorated each cookie. Or rather, thoughtfully told Krissy what to put on the cookies. I'm not quite sure. 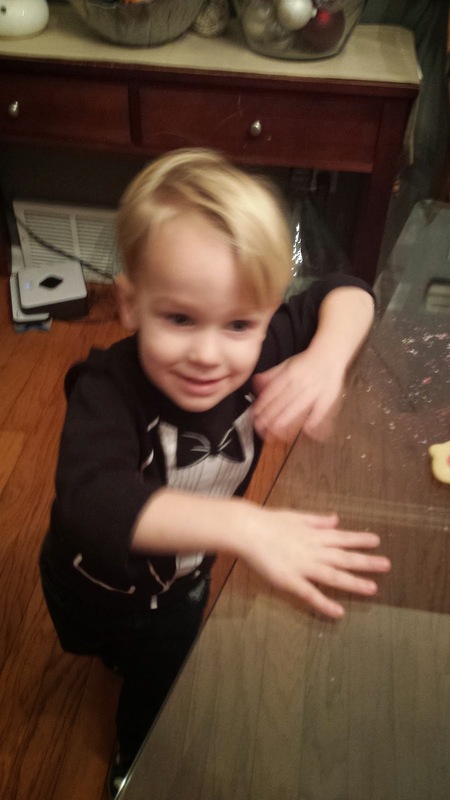 I was too busy trying to stop Cody from just dumping the bowls of sprinkles and candy straight into his mouth. 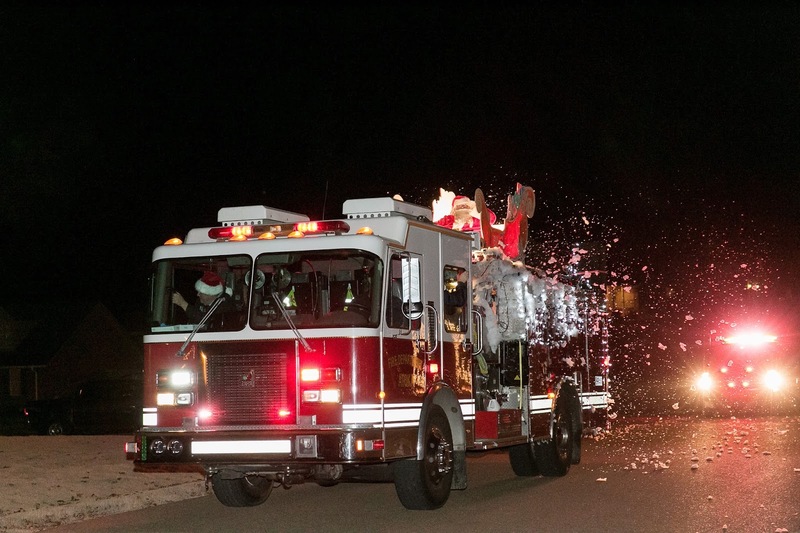 For the second year in a row Santa drove around on the Firetruck. Ashley sent me a message to make sure I knew about Santa's trip and asked if her son and husband could come to our house since Santa wouldn't be going through her cove. So the kids had a great time playing until it was time to brave the cold and wait. I ran and got my camera right as we heard Santa coming. I snapped this one picture, then my camera died. Thankfully someone posted better pictures on the Town of Atoka Facebook page. The kids loved it and waved at Santa with joy and wonder.